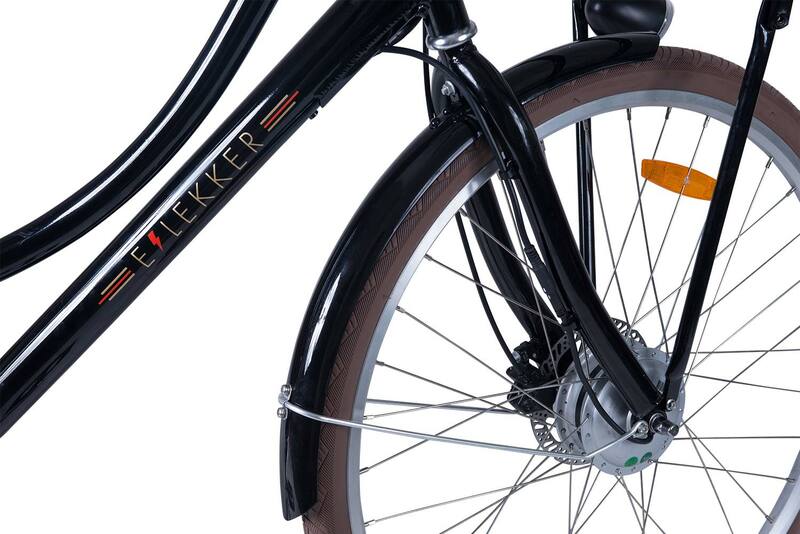 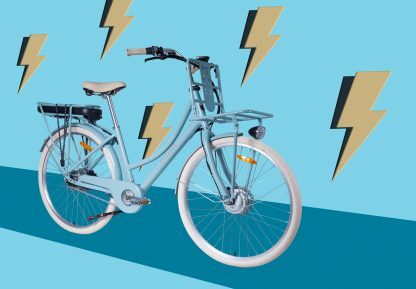 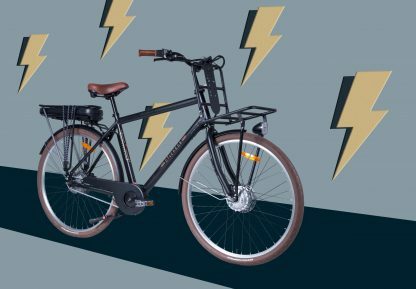 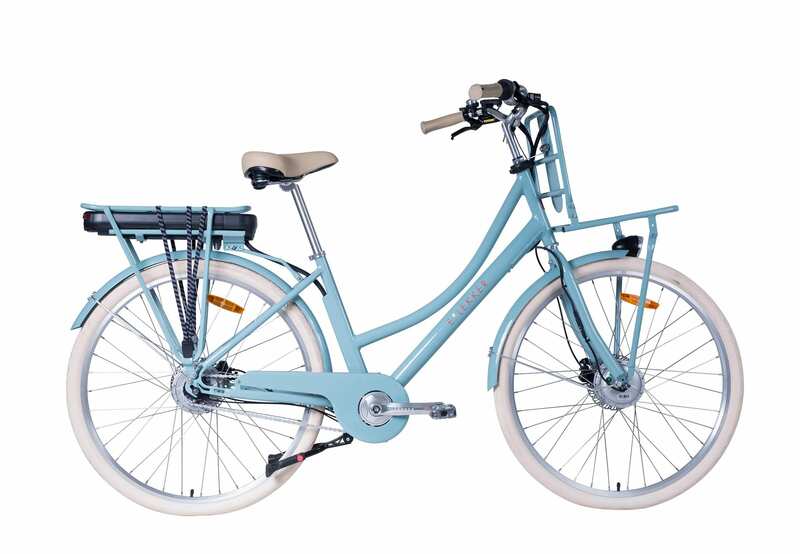 The E-Jordaan is an E-Bike designed with function and comfort in mind. 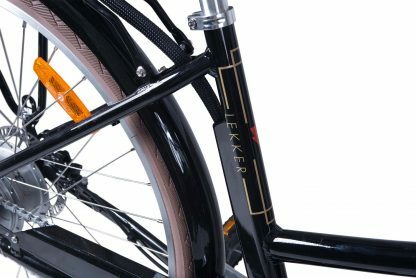 The E-Jordaan is an E-Bike designed with function and comfort in mind. 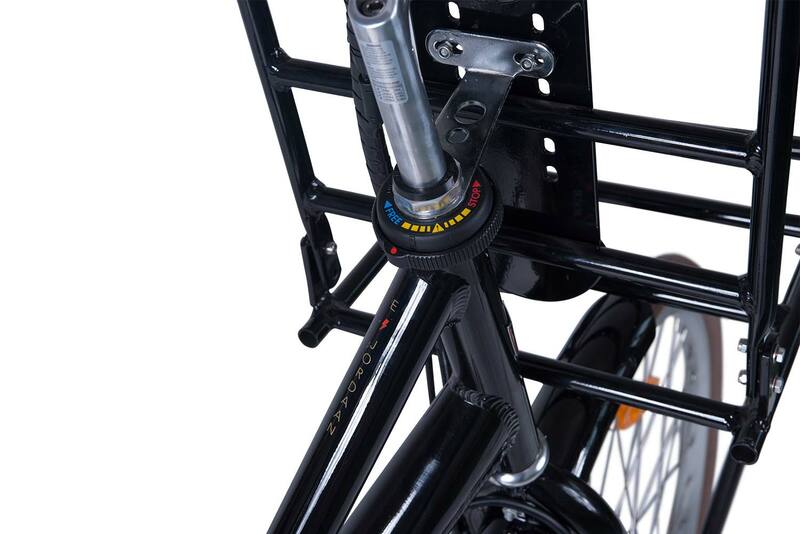 With it’s lightweight yet robust aluminium frame it’s 100% maintenance free and rust proof. 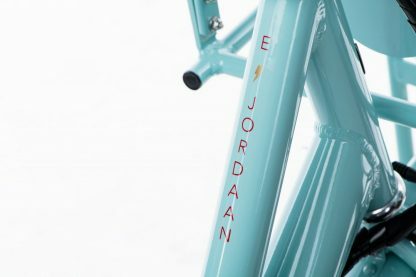 The Jordaan offers a comfortable upright riding position, added with fat tyres, double hand brakes and possibly the most comfortable saddle you ever experienced. 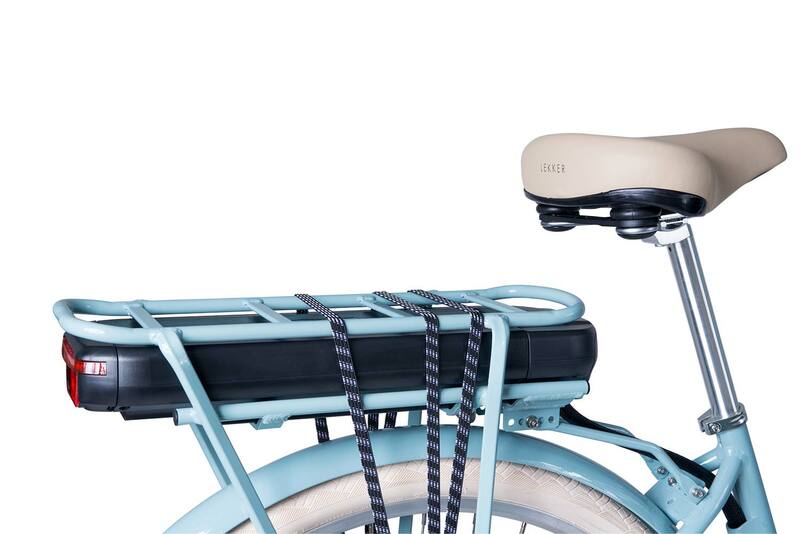 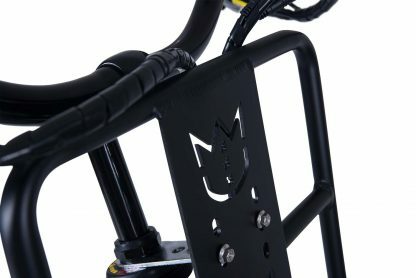 It’s standard fitted with a color matching front- and rear carrier for optimal carry capacity. The Lekker E-Bike can be ridden anywhere a conventional bike can, it’s able to carry a load without effort and it’s simply so much fun to ride at all times. The powerful Front Hub Motor – offering 250w / 14.5 AH – will propel you forward efficiently, spicing up your commute. 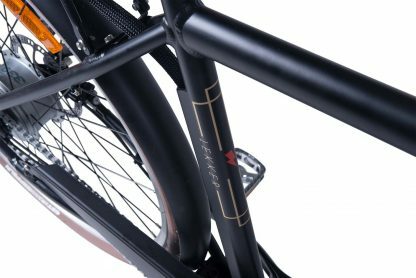 It makes the hills feel flat, and easily gets you up to speed. 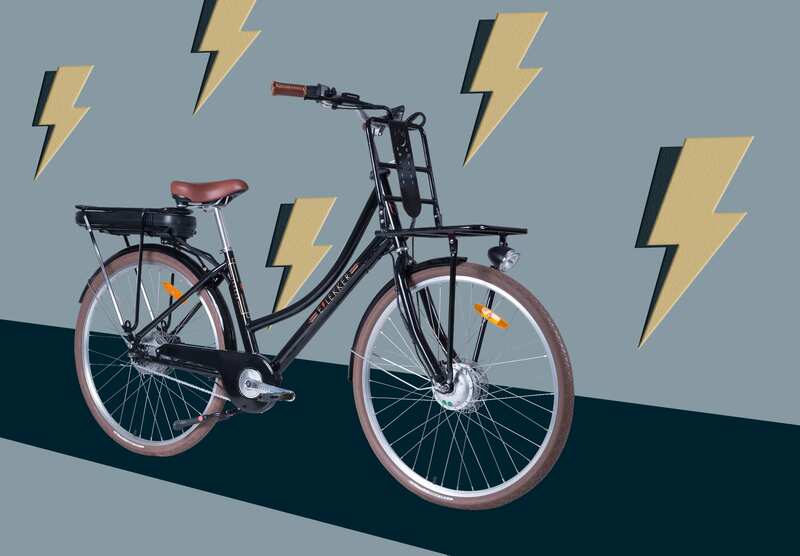 The Pedal-Assist system, with 5 levels of power-assist, keeps you in full control of the 250w output. Extra’s: Double kickstand, Aluminium Front and Rear Carrier, Front and Rear LED light, Integrated bell, Premium brake levers, urban proof tyres, Shimano Steer Lock for stabilization while your bike is parked.